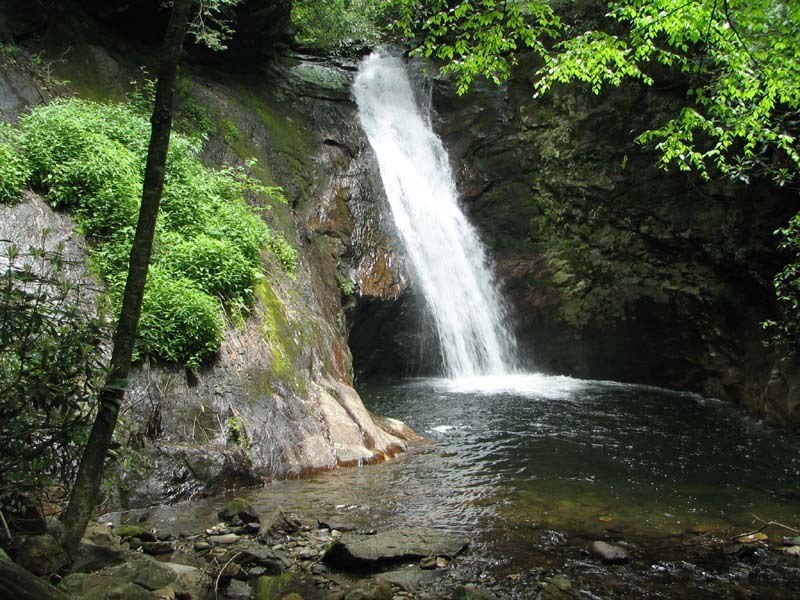 Very nice waterfall in Pisgah National Forest. A little difficult to get to right nowsince access road was damaged in last year's hurricanes in this area. Hi GeorgeNC! Very nice!! We visited the Smokies a few years ago and seeing this reminded me of beautiful sights in the hills! Rather than start another thread, I thought I'd just add this one to my original thread. I was on the Blue Ridge Parkway today, and stopped off at the Graveyard Fields overlook. Only about a quarter mile from the parking area is the "second falls" at Graveyard Fields. 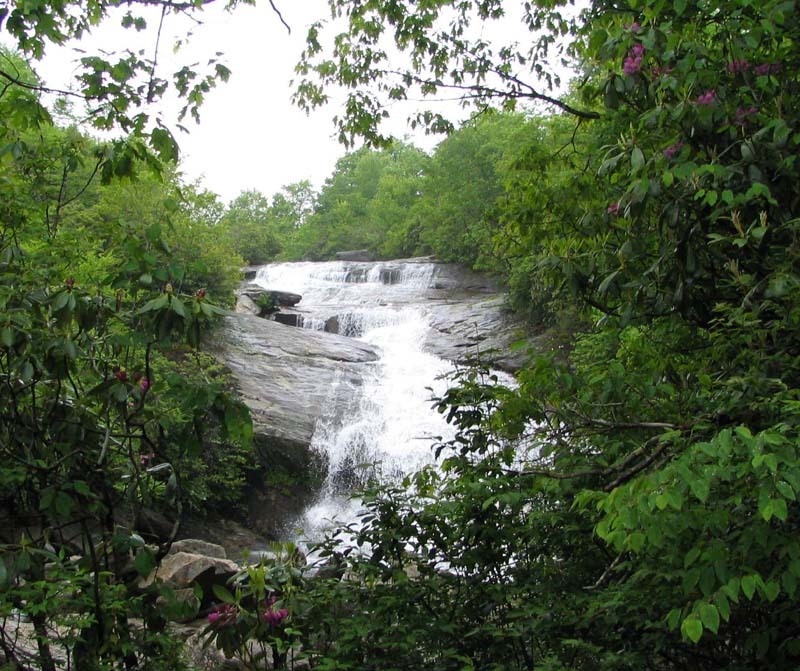 Took a few photos of the falls and some of the mountain laurel in bloom.